1. THE GREAT Backpack ATTACK!!! There is a lot of maths in backpacks. We’ll start with simple angles. 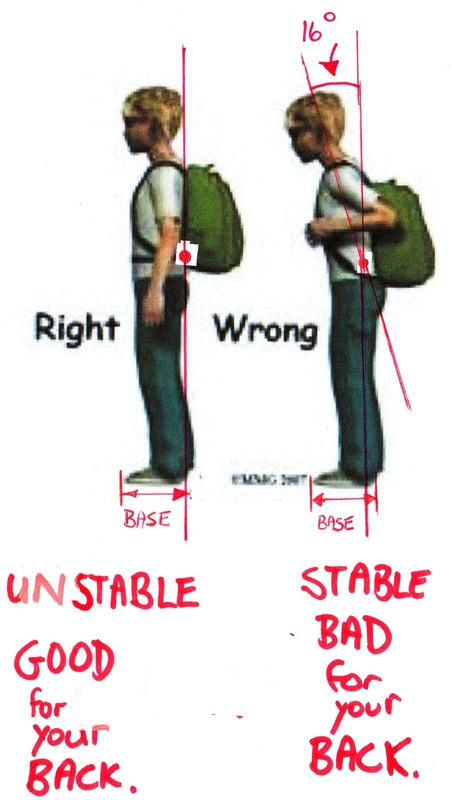 Students can also look at the design of the backpack to lower the Centre of Gravity, reduce pressure on shoulders and look cool as well as methods of packing the backpack to increase stability. 2. 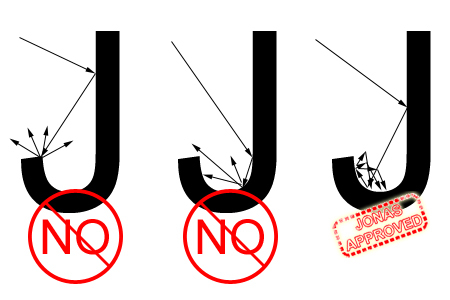 School Rulers Rule, Right! Karate chopping the end off a wooden school ruler has always been a classroom sport. Now we can have some fun, mathspigs. 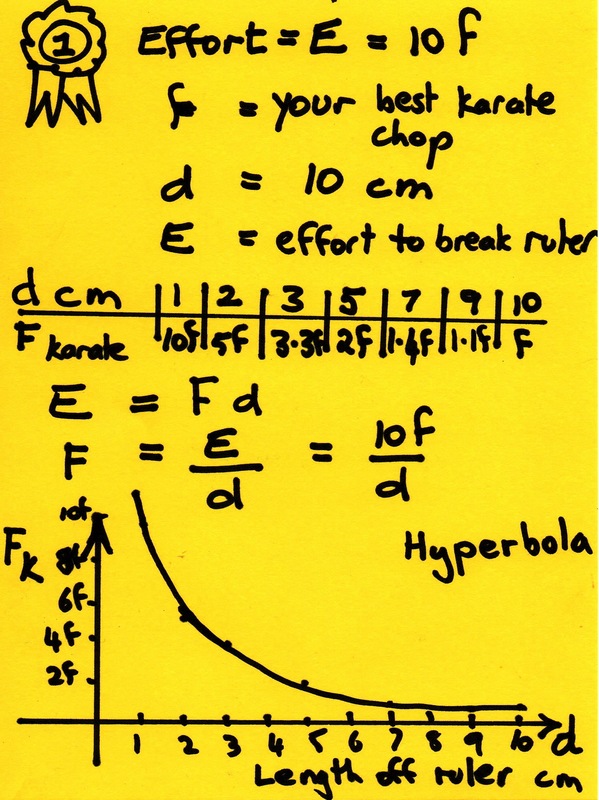 We will do some calcs to compare the force, F, required to karate chop a piece off a wooden ruler staring at 10cm length and working back to shorter and shorter lengths. These calcs also work in inches. But when you karate chop a ruler you hold one end down with you other hand. 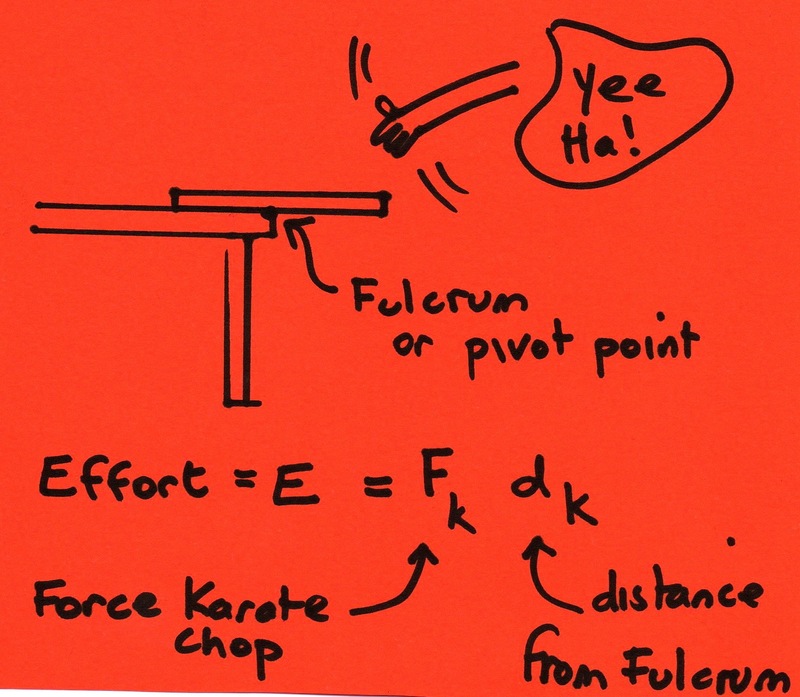 So what is the ideal point on the ruler to act as the fulcrum for easiest karate chop force? You can find more information on levers at the Robinson Library. 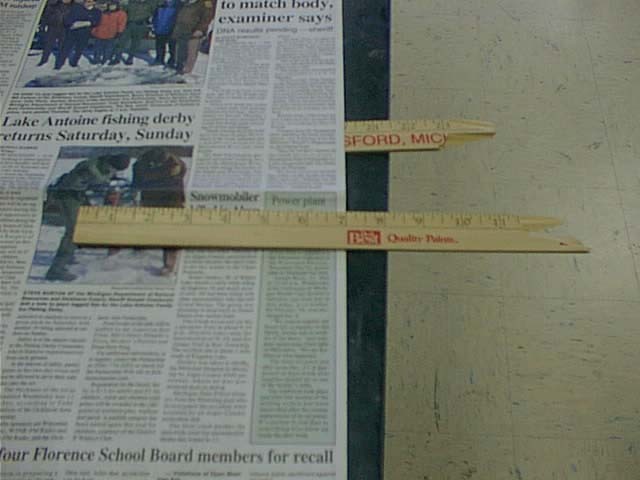 You can, surprisingly, use a piece of newspaper to hold the ruler in place. Check it out at Kingsford School. 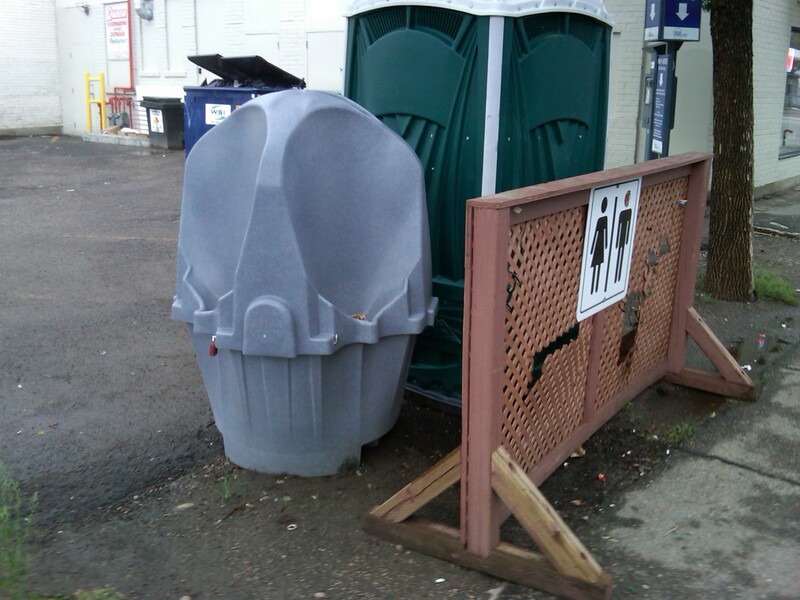 This is a mobile urinal. Mathspig has seen these VERY PUBLIC urinals in Paris. Maths is everywhere, even in the boys toilets … not that Mathspig ever ventures in there. But I’ve often given talks to boys about acting tough. Can anyone be tough all day? How? 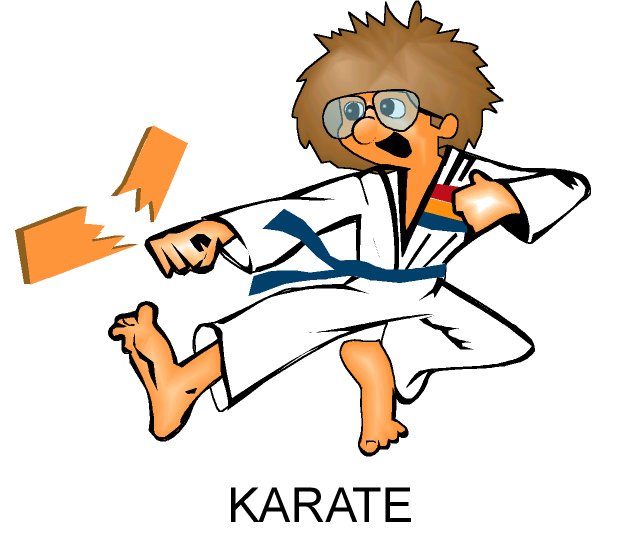 Do you karate chop your Wheatbix at breakfast? Do you threaten yourself in the mirror with your toothbrush cleaning your teeth? 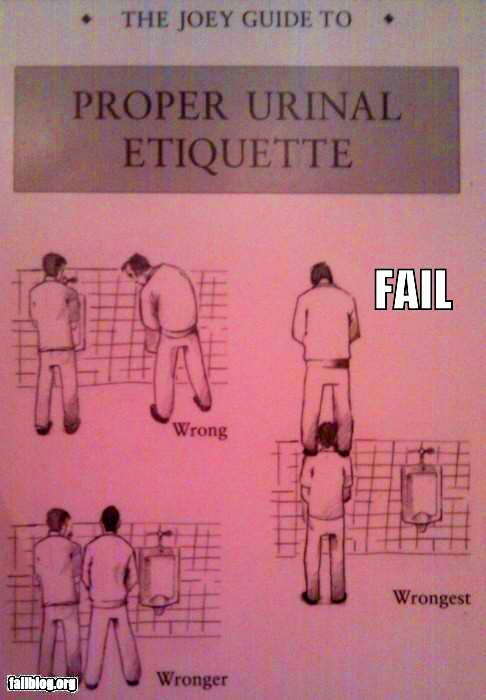 When you go pee what do you do? As a girl, Mathspig has to ask why? Why would you want to pee on the ceiling … even allowing for exaggeration? Who wants to stand in a toilet with their own pee dropping on their head? Don’t answer. 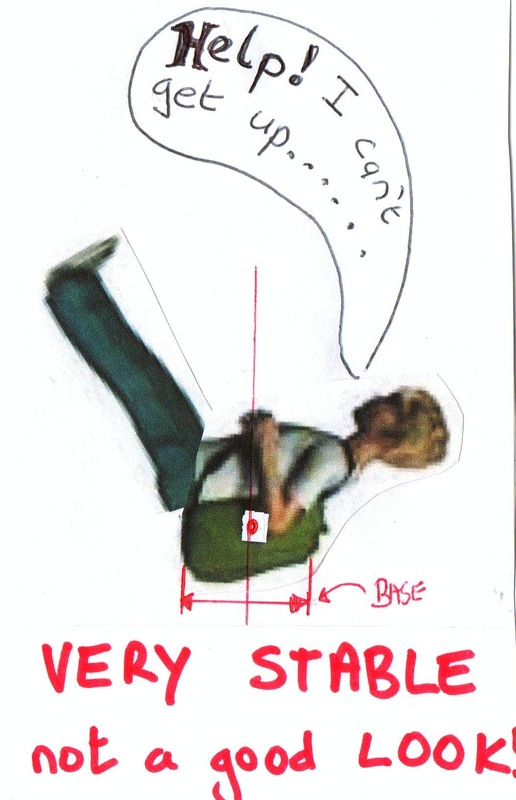 But, thanks to Mancouch and their Physics of Peeing diagram I can see that peeing angle is important. But what is that angle, boy, mathspigs???? For easy calculations we’ll assume the flow is in a straight line. Thank you for your attention. 4. 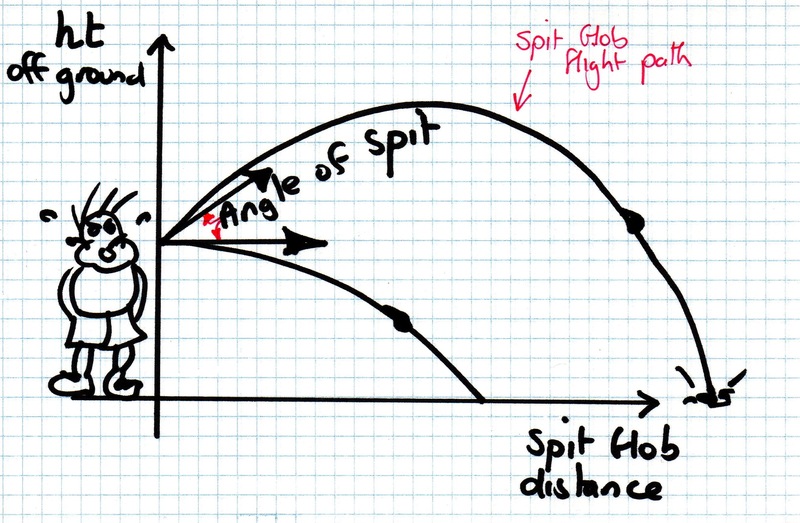 The Spit Radius or How Far are You Gonna Split to Avoid a Spit Hit! 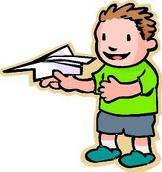 Kids often threaten to spit on other kids with spit globs, pips or mushed up paper. How far should a kid stand back from the spitter? 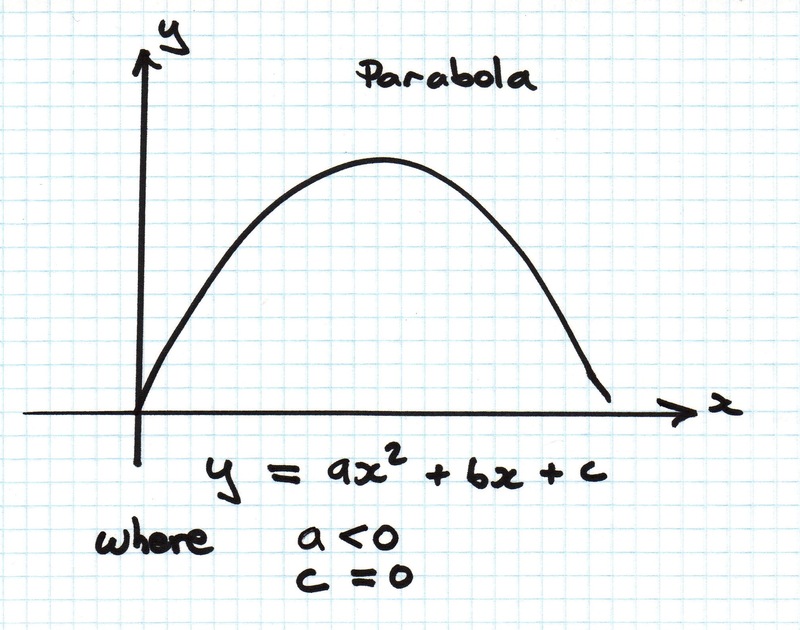 Look at the parabola. 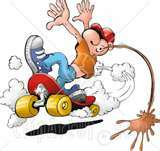 To have the spit glob travel further the spitter should aim up in the air!!! The Guinness Book World Record for spitting a Watermelon Pip stands at stands 68 feet and 9 1/8 inches or 20.96m and was set by Lee Wheells of Luling in 1989. Check out the next Watermelon Thump Championship at Luling, Texas on their website. Meanwhile, you might just check out your own spitting distance at home … and use it as a spit distance safety benchmark. Note: A mobile spit will travel further. Why? 5 . 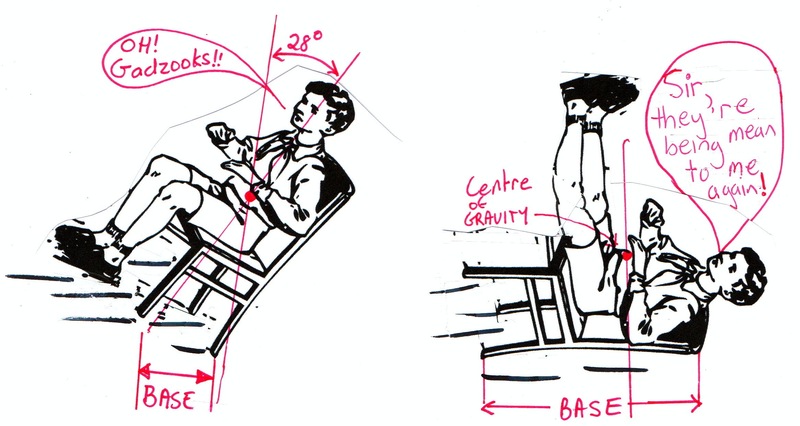 Chair Physics or Why Heads Will Roll!!!! 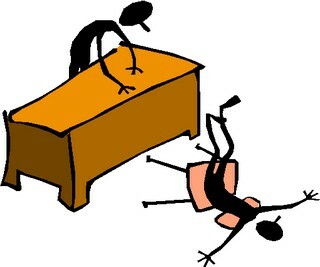 Teachers hate kids leaning back on chairs for a good reason. They may not lose their head, but they could lose a few brain cells if they fall. 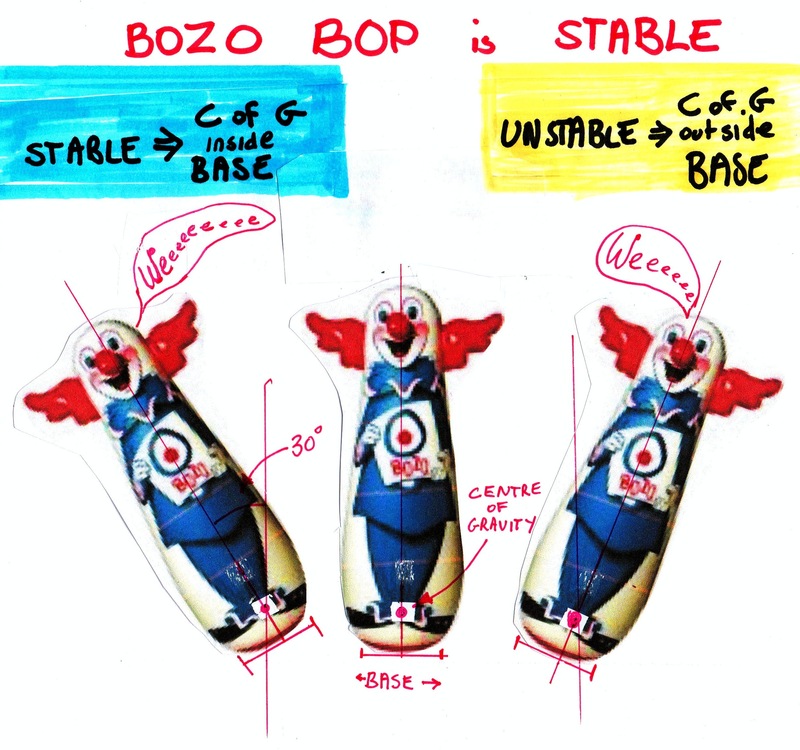 It’s all to do with angles, but I suggest you use an empty chair or, if you like Myth Busters, perhaps you could use a dummy. This is not a dummy. 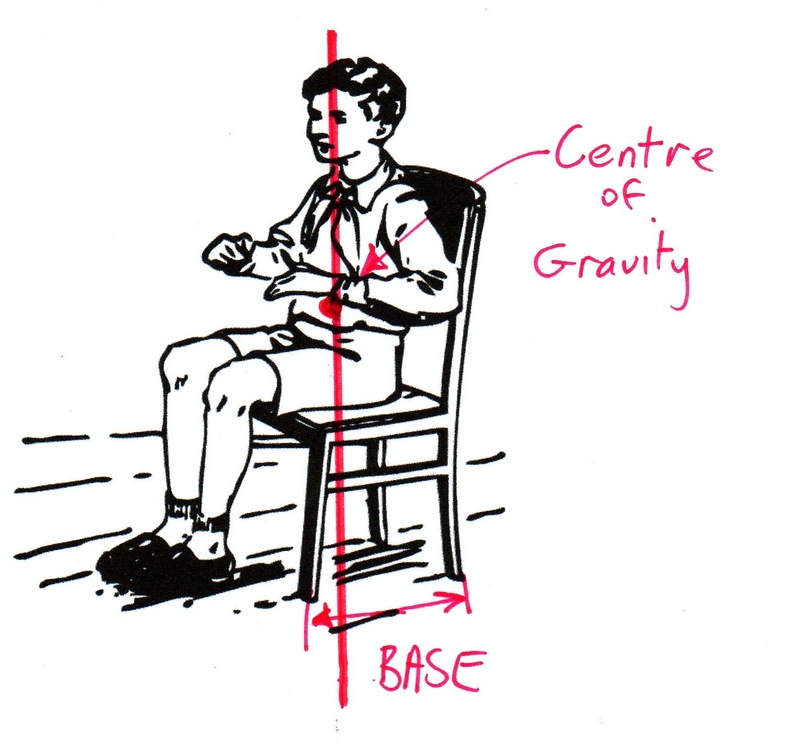 The Centre of Gravity rules for stability apply to a person sitting in a chair is the same way the rules apply to a kid with a backpack. 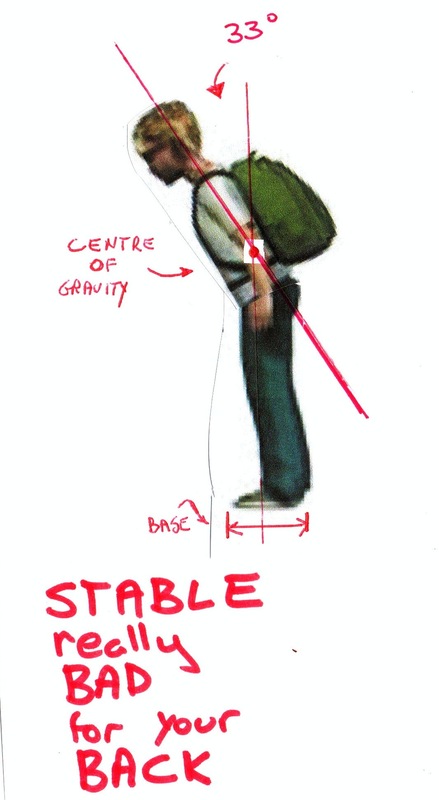 For more information this is a cool GCSE Physics link using Batman and Centre of Gravity. This is a really cool school chair trick. The image may not appear on your iPad. 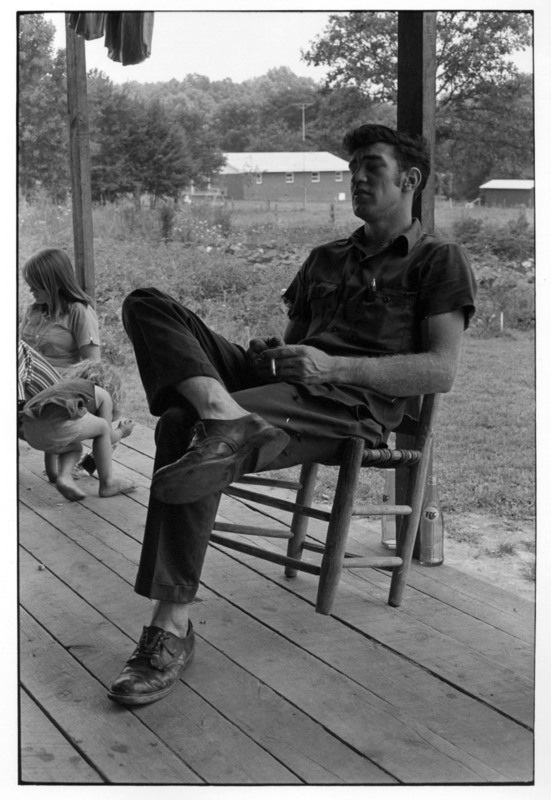 This is just a really cool chair. Can you blow a bubble bigger than your head.? You can work it out mathspigs? You will need lots of bubble gum. The largest bubble ever blown was 23 inches or 58 cm in diameter. The record was set July 19, 1994 by Susan Montgomery Williams of Fresno, CA. (Guinness Book of World Records 1998). Read more about the largest bubble gum bubble. You are currently browsing the archives for the 10 Fun Back to School Maths Ideas category.